Skye Gravestones | Jessie (Mackenzie) Robertson. John Mackernzie. Jessie (Mackenzie) Robertson. John Mackernzie. 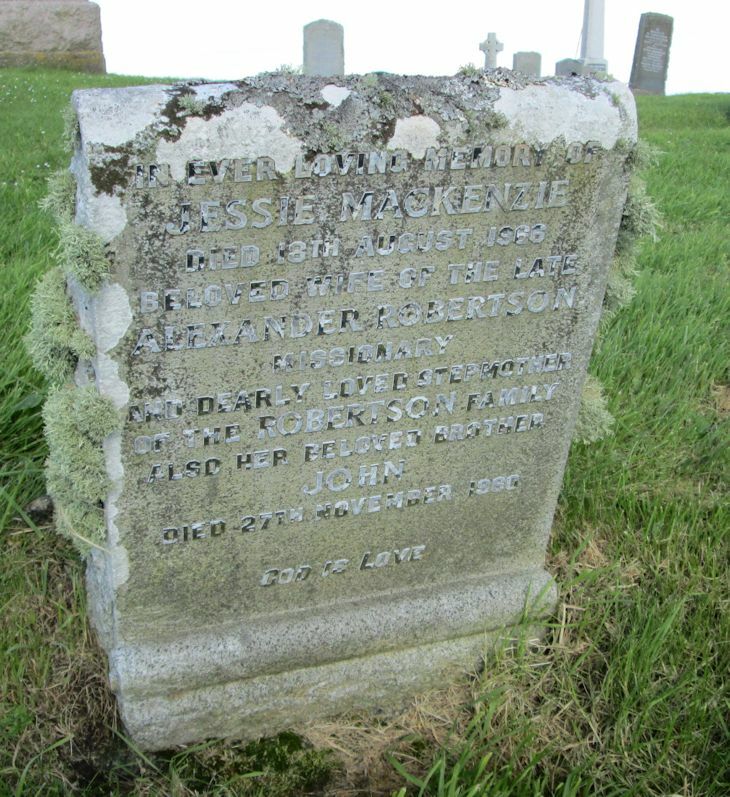 In ever loving memory of/JESSIE MACKENZIE/died 18th August 1966/beloved wife f the late/ALEXANDER ROBERTSON/missionary/and dearly loved step-mother/of the ROBERTSON family/also her beloved brother/JOHN/died 27th November 1960. Picture Added on 17 July 2014.